I have always wondered about the potential of earning additional income to supplement what I’m getting from my regular job. In addition to investment returns, of course. It has been a minor indulgence of mine to spend my free time experimenting and trying different options with varying results. The mystery shopper gig (breakfast buffet at Basilico, Regent Hotel) was by far my favourite and most memorable one! Every quarter, the income earned from Turtle Investor is published here. 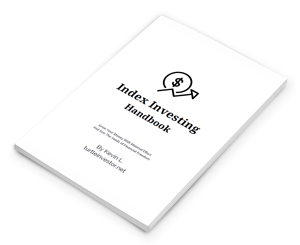 Although I’m much more dormant/lazy these days with experimenting, mainly because of my focus on my full-time job and investments, an income report serves as a chance to take a step back and evaluate the stuff that works. Don’t be mistaken – I’m not going to attempt to sell you anything. There was a time when I thought blogging was only for coffee money, and I was earning mere cents each day. Perhaps this will inspire you create your own stream of additional income as well. I’m not alone here in showing that alternative income is possible. My friends who blogs over at Giraffe Value and Living A Free Life publishes their income report as well. Income report for the third of 2017 – slow and steady with nothing to rock the boat. Income report for the second quarter of 2017! You requested for proof of payment? You get proof of payment. Income report for the first quarter of 2017! Nothing much to report on this front as I haven’t been as diligent in sourcing out new streams of alternative income. Once in a while, RedMart still surprises me in terms of free credits via referrals. I haven’t paid full price for any of my RedMart orders since I first started using them one and a half years ago, which is nice. Going forward, this is not an area I will focus on, given that any sort of such referral-based freebies will hit saturation point with most Singaporeans already familiar with RedMart, Uber, Grab etc. American Express is another new referral program that I’ve signed up for and this is extremely helpful/awesome to kickstart that insane trip on Singapore Airlines First/Suites Class! 60% to my target! Let’s see how that one goes. Annual nett income for 2016 will thus end up approximately SGD$843 after conversion to Singapore dollars. Happy new year! I have been really low on activity lately and to be honest, I haven’t been trying out new stuff. Referrals for Travel Smart Rewards and RedMart has slowed considerably, which is understandable. Still great to pull in a little bit of income to supplement my household expenses. The delayed payment mechanism for Monumetric meant that the strong showings for the previous quarter is actually starting to show. This is pretty much the proof I wanted to show, that there are viable alternative sources of ad revenue instead Google Adsense which can possibly perform even better. Been swamped with quite a few things in the month of April and it looks like it is going to spill over into May and June, which makes it a rather quiet quarter. Regardless, the semi-passive nature keeps things moving along nicely. Pre-scheduled blog-posts go out as planned and I didn’t need to do much for the tiny stream of income. The initial goal of blog/ad revenue is to pay for the cost of web hosting, which incredibly has been smashed by the earnings of the first quarter alone. I have since been able to divert some of the income to other causes close to my heart, such as supporting a Kickstarter campaign by an Singapore-based game studio. 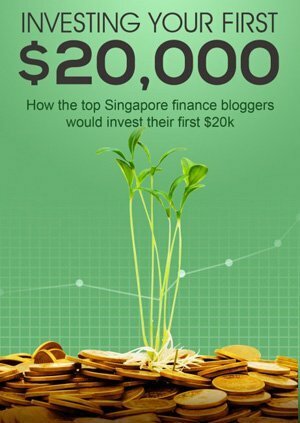 I would be looking forward to more of such use of blogging income! Travel Smart Rewards and RedMart are chugging along nicely as usual. Quite a few referrals and orders were made – due to the Chinese New Year effect? I have been exploring various alternatives to Google Adsense, actually. 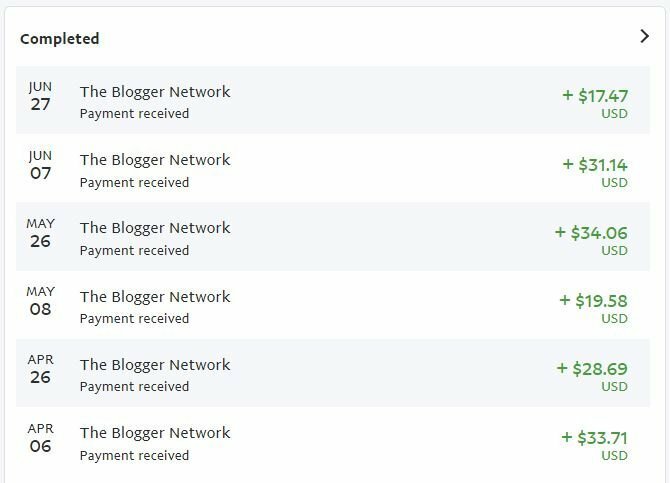 Eventually, I took a leap of faith and as of end-2015, I had actually switched to a different ad network – The Blogger Network. There were pretty decent ad earnings for the month of January and February but along with the switch, I had decided to go with a different method of calculation. I shall not count my chickens before they hatch. They have a delayed payment mechanism and I will be expecting received my first payment on 07/03/2016 and biweekly (payment received!) after that. They don’t have a minimum payment threshold, which means no holding back of your payment (S$150) like what Google Adsense does. With The Blogger Network, revenue per thousand page views is actually higher. Instead of Google Adsense, The Blogger Network uses the Google Ad Exchange which is an entirely different thing altogether. Due to the platform upgrade, earnings are kind of glitchy but thing are looking positive – more on that next time. I have a WordPress optimized hosting account with SiteGround where all my websites are hosted on. Although they aren’t exactly cheap at $14.95 per month, they have features like caching and auto-backups which provides an excellent user experience plus they have a datacenter located in Singapore that serves the Asia Pacific region. It helps that I can host multiple websites so it is money well spent. Unfortunately, the annual billing takes place in November which explains the huge expense. Travel Smart Rewards has been awesome this quarter. My points earned from off-peak travel, platinum status as well as a bunch of referral credits (thanks!) with a dose of good luck (including a $50 reward) pushed it past $100 this quarter. As always, this is a good-to-have category as a supplement to my transport expenses and I don’t foresee future rewards to be as lucrative as what I’ve earned this year. Once in a while, You Need A Budget referrals make me a couple of dollars even though it felt like not many people are that interested in a budgeting app. This makes it a grand total of seven YNAB referrals this year. ShopBack rebates were finally redeemable this month and I cashed it out directly into my bank account, which took a few days to be processed. This is definitely a legit scheme and I will continue to use it for days to come. Grocery expenses this year was heavily subsidized as a result of utilizing RedMart credits. RedMart credits earned for the month of November and December totaled up to be $100. I didn’t have the chance to note down for the month of October, unfortunately. Collaboration opportunities which I thought didn’t work out came knocking again in the month of November and I was glad to be able to pocket some funds in preparation for year-end festive spendings. With the end of the 4th quarter of 2015 with exceptionally strong earnings, this has pushed revenue past the $1,000 mark for a grand total of $1233.83 in Singapore dollars. Expenses for the year came up to $226.73. From the two, net profit for the year works out to $1007.10 in total. Slight improvement from ad revenue via Google AdSense. Blog posts on You Need A Budget (YNAB) and RedMart has undoubtedly improved earnings drastically for this quarter. Ad revenue from Google AdSense has been pretty consistent these couple of months. One observation I have made is that the ad RPM is way higher than my travel-related website. One of the WordPress plugins that handles redirection died on me which resulted in some missed referrals under my Freebies links but these are basically just good to have. That’s it! Ad revenue from Google AdSense went down for February and March due to a sudden drop in traffic. Was there a Google algorithm change? Having said that, ad revenue is more than sufficient to cover costs of web hosting. Hooray! Most of the links listed under the Freebies category in the top menu bar are mutually beneficial for both you, and me. 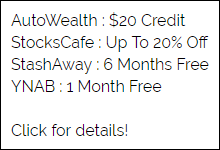 Most of the time, you get cash credits when you sign up (woohoo!) and I get cash credits for getting you to sign up (yippee!). There is no catch whatsoever. Now, why are these companies so generous? For some of them, they basically have the backing of angel/private investors and have a decent amount of capital to power their growth. What they do not have is time. They need to grow, and they need to grow fast. REALLY fast. These viral growth strategies are proven to give really good results. Well-known companies like Dropbox, PayPal, Airbnb and Uber has relied on, and continue to use similar strategies to power their growth. A really good example that we can relate to is RedMart, which is basically a Singapore based online grocer. In a nutshell, they have raised millions of funding from investors including the likes of Eduardo Saverin of Facebook fame. Aggressive right from the start, discount codes came fast and furious during the initial launch and subsequently the viral referral approach enabled them to grow tremendously, expanding their operational capacity and offering even fresh produce on their website. At one point in time I had more than $100 credits in my RedMart account – I was amazed by how popular they are! The awesome thing is that if you use these services and are pleased with them, you can continue to benefit by sharing and getting people you know to sign up!